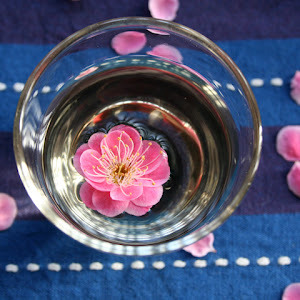 Plum Blossom: Jordgubbskräm: Det är ett svenskt recept! Combine the strawberries and sugar in a saucepan. Mix a little of the water with the cornstarch to make a thin paste. Put the paste in the saucepan. Add the rest of the water to the saucepan, and stir. Bring it to a boil while stirring constantly. Put it in a serving bowl and let it stand. It maybe served hot or cold.